Discover the different wildlife hiding in your garden with this stunning activity book. Play spot the difference with the ladybirds, help the robin find the worms, help the hedgehog find his tracks, draw a fox and much more! 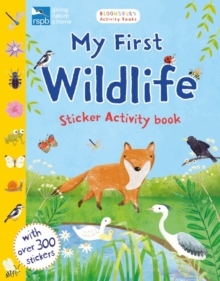 Produced in partnership with the RSPB and packed with adorable illustrations of all your favourite species, this book will get you out and about exploring the nature that can be found right on your doorstep. The perfect companion for enthusiastic young nature lovers! Bloomsbury Activity Books provide hours of colouring, doodling, stickering and activity fun for boys and girls alike.